Nothing is more hazardous than ignoring your locks at home. As technology grows and gets smarter, so do criminals. In order to stay ahead of them, you need to be on the cutting edge of lock technology where convenience meets security. We aren’t always that lucky, however. 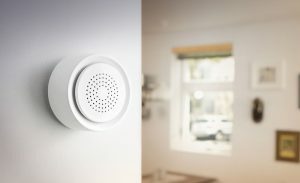 Thieves could break into your home at any time while you’re working and compromise your home or apartment’s security forever. As a complete lock repair business, we know how to handle the vast amount of problems your locks come with. And we work day and night to correct these issues with new, state of the art locks and other appliances. Here are the best door locks and their types in no particular order. 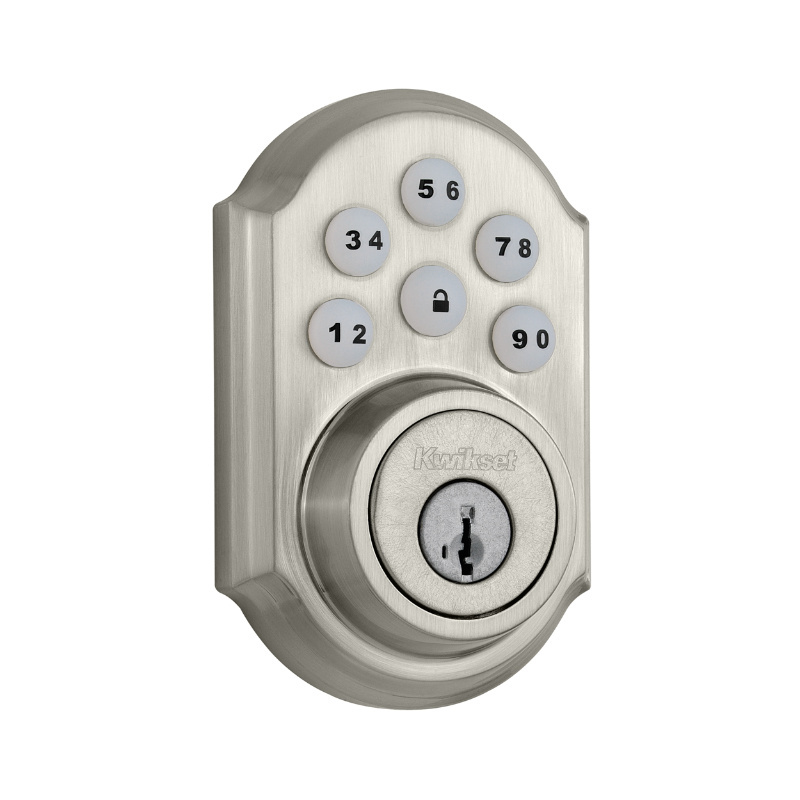 Deadbolt locks are some of the most common locks on the market. And they work so well because they cannot be moved from their locked position in general. 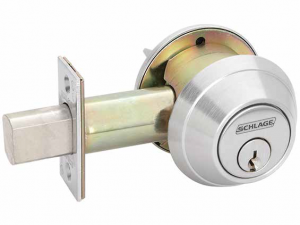 If you’re looking for the best deadbolt for your home, check out the Schlage B660P for size. This lock has a Grade 1 ANSI rating, which means it takes a lot longer to pick than a regular lock would. It also comes with strike plates which make it much harder for someone to kick in the door or damage its internal workings. 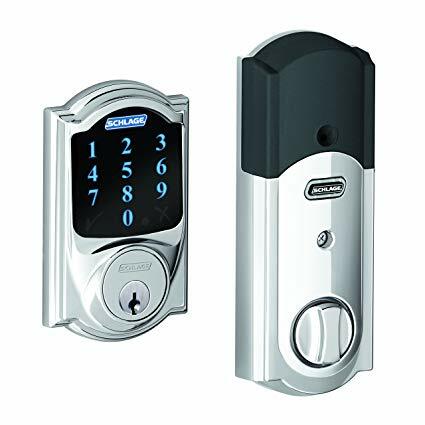 Far less common than deadbolts, Mortise Locks may look funny at first glance, but are actually more secure than their deadbolt counterparts. These locks sit in the frame of the door so they are much harder to access and manipulate. A good place to start would be the Sargent 8225 Exit Door Lock which is rated Grade 1 and whose parts come pre-assembled so it is easier to install. Additionally, the lock has a thumbturn on the inside so it is simpler to lock and unlock it from the inside. If you had to guess the future of home security, smart locks would be a great place to start from. These bad boys allow you to control your locks remotely from anywhere and even control other things inside your home. It really makes you want to usher in a new future with these security monsters. 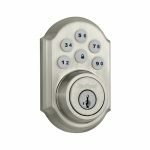 A great smart lock in this category is the Schlage Camelot Touchscreen. The lock is unique in that it is equipped with an alarm system that monitors visitors from the first time they touch the hale until the door opens. Repeated attempts at opening the door triggers the Forced Entry alert and will allow you to notify the authorities immediately. Keyless Entry Locks make it that much more convenient to enter your home without getting the key(s) out. While they may not be as secure as other locks, they are very easy to install and allow only specific people access to your home. 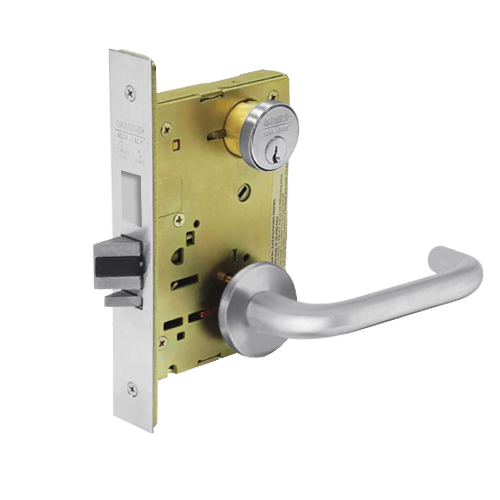 The Kwikset 909 Smart Code should be your go-to choice for the best door locks on the market. It comes with a personalized code so you can enter your home without using a key of any sort. It is also easy to install, and only requires four AA batteries to run smoothly as well as a battery level indicator to ensure you don’t get locked out due to dead batteries. Additionally, it locks your home after 30 seconds so you’re safe even if you forget to lock your door on the way out. It is easy to ignore problems with your locks until it’s too late. Call ASAP Locksmith today and get your residential locks up to speed for peace of mind.